You think you know how to eat an apple, but you're wrong. 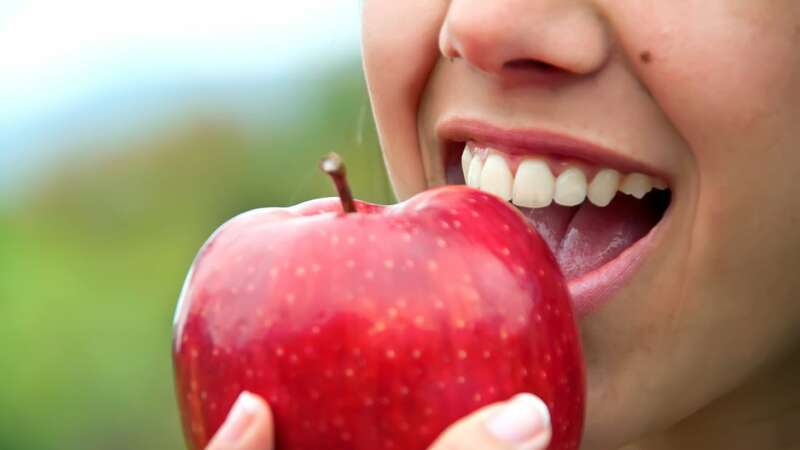 Back in November 2013, FoodBeast posted a video called “How to Eat an Apple Like a Boss," and it quickly went viral. The clip shows that rather than eating an apple from the outside in to the core—which wastes approximately 30 percent of the fruit—people should eat it from the top down. The core simply disappears, allowing for 100 percent consumption of the apple. It turns out, apples aren't the only food you're eating wrong. Here are eight more you should reconsider. Drowning your pancakes in syrup is inefficient: The top pancake will be completely soggy, while the middle pancakes remain totally dry. The solution, according to Reddit user InfiniteOrigin: Carve a hole in the middle of your stack (like so) before pouring any syrup, which will then distribute more evenly through your pancakes. If you’ve eaten a PB&J, you’ve also probably had a dollop of jelly seep out and land on your table or clothes. But there’s a better way to construct this staple sandwich that stops messy drips. Simply fence the jelly in with peanut butter, as a Reddit user called ChickenMcFail explained back in 2012. Spread as much peanut butter as your heart desires on two slices of bread, then create a taller border with peanut butter on both sides. On one slice, put the jelly in the hole that the border creates, then complete your sandwich. This fruit is way less difficult to seed if you use a bowl of water. First, cut the fruit in half. Then, submerge the fruit in cold water and pull the fruit apart, releasing the seeds with minimal mess. The unwanted membrane that holds the seeds will even rise to the top of the water. Never break a nail trying to open a sealed pistachio again—just use another pistachio shell to separate the nut that’s hard to crack, as cartoonist Natalie Dee suggests. See her comic about it here. Hard-shell tacos tend to fall apart, leaving too many meat and cheese casualties. But wrapping larger soft tortilla around the taco will help, according to Kitchen Simmer. The food that would normally just fall will be caught by the protective tortilla. You can make this more binding with a layer of refried beans in between the tortilla and the taco shell.